Is it me or is Gareth's vocal a little too high in the mix? That may be partly it, but sometimes he sounds like he's shouting instead of singing. At any rate, it's still an enjoyable live album. 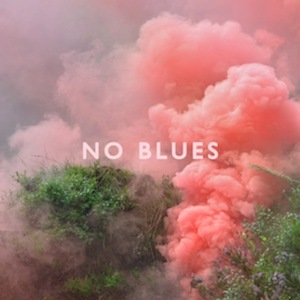 "No Blues". Sounds like it will be a livelier affair than Hello Sadness. I take it pink is the opposite of blue? I just hope it's a lot better album than Hello Sadness. Green is the opposite of pink. But it's certainly a lively color all the same. Love the sample that we got. Cut off just as it was about to get good though. Really like that little snippet. 2008 x2, 2010, 2011, 2013. In this day and age that's pretty impressive output. I liked but didn't love Hello Sadness, confident this new one will have some killer tunes on it.